My oldest son, James, is going on an 8th grade field trip to a beautiful tropical location. The group of 15 kids (and chaperones -- of which I am not one), will camp on the beach, snorkel, hike, cook, and probably learn a lot about themselves. 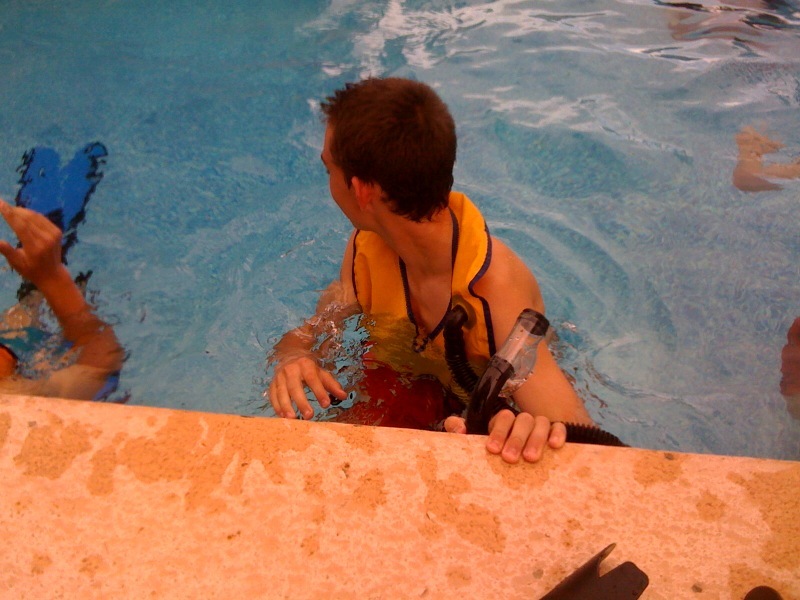 The other day, the teacher leading this expedition, I'll call him, "Mr. Brave," asked the students to come to one of the counselor's houses to practice using their snorkel gear in the swimming pool. It happened to be really cold that day. I was shivering and I sitting on the side of the pool, with long pants and a jacket on, wrapped in a blanket. 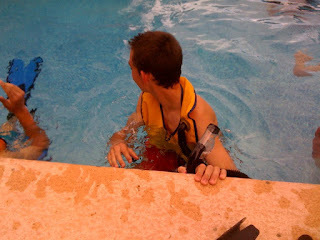 James and the other kids got into the pool to try out their gear. Once they were in the water, I think they actually warmed up (a bit). Mr. Brave gave them instructions on how to use the gear and then asked them to take a couple of laps. They came to his end of the pool and raised their masks to receive further instructions (which they hoped would be to get out of the pool, dry off and warm up). Instead Mr. Brave said, "In watching you swim your laps, there is one other thing I need to cover. When you are snorkeling, it isn't a power swim to the other side of the reef. Think of it as a journey. You are floating in the water, becoming part of the environment, enjoying the journey. It's not about getting from here to there, but more about what you see and experience along the way." He then asked the kids to try again...and they floated away from him, easily looking around -- not kicking and splashing as they had done previously. Sitting there, I heard his words and thought, "Wow! That's a lesson not only for snorkeling, but also for life." When James hopped out of the water and asked me to wrap a towel around him and warm him up (even though he is a big strong 8th grader who doesn't need his Mommy), I still had the satisfaction of hugging my kiddo...and noticing another Perfect Moment! What a wonderful way to describe snorkeling and what a wonderful moment with your son. Thank you Sheri for posting this perfect moment! I so needed this type of instruction both when snorkeling for the first time and when I took my first breath of independence. It's never to late to stop kicking and just float! Words to remember. You are right. What a great lesson from Mr. Brave. It's a waterlogged variation on the tortoise and the hare.